We have explained in depth how Domain Named Emails works, why we use Cloud Email Services and how to get full self hosted email server. Actually this is mostly less understood by the average users and email system is really very very difficult topic itself – both to understand, install and administer. Email is a way to communicate and most of us know or heard about SMTP (Simple Mail Transfer Protocol) or other Protocols like POP3 or IMAP. There are various level of readers. Not everyone is used with the terminologies. Hardly users setup Free Hotmail, Yahoo!, Gmail, AOL and other e-mail on their PC, Mac or Mobile Devices. Normally, my hotmail email will not go to the Junk folder, Email from this Website will not go to the Junk folder. 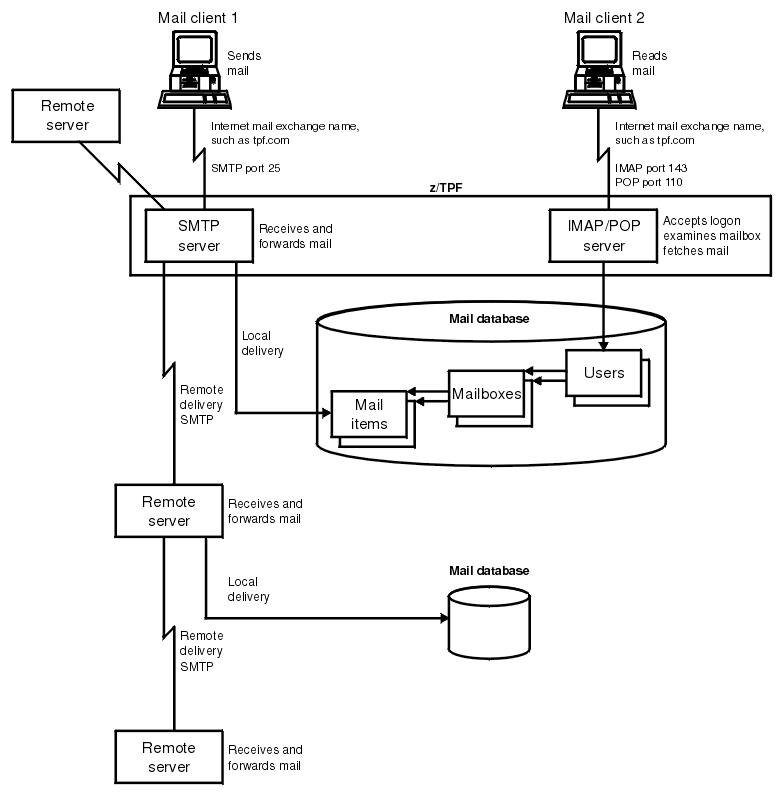 That is why we said that – How to Understand the Reputation of SMTP Server to Send emails. Those who do not know anything, first we will suggest them to read about Protocols – What is Network Protocol, Internet Protocol Suite and Communications Protocol. We want that, the reader understand the topic Domain Named Emails to the minimum required but very clearly. What Happens When Domain Named Emails Are Used With Google Apps or Outlook? When we have said about Good Email Solutions in the Cloud, we have actually said about Kind of Relay System. We have articles like Alternative Options to Google Apps as Free and Paid Solution. The reason is nothing but Google Mail for Domains was Free and was Suddenly Discontinued. Google’s Domain Named Email Service was most easy as explained in our older guide on Steps to Setup Google Cloud Apps for Domains. Google Mail for Domains or Gmail for Domain or now only Premium Google Apps actually provides you the whole infrastructure as Software as a Service (SaaS). Among other Free options, Outlook still provides Free Service, possibly Yahoo! and AOL has such options. Domain Named Emails becomes a pain when you need a lot of emails for many domains but you do not have so much money to pay. Clearly know, there is no perfect option at lesser cost with much variety. It is possible that Outlook will also discontinue their free service in future, like Google. These Google Apps, Outlook, Rackspace Mail just checks the real Ownership of the Domain and provides the Service. It is actually easier to handle but very very secure not to be labelled as SPAM emails. Minimum Setup is like we described on Mail Server With Heroku Cloud. Why we said we have said about the Good Email Solutions in the Cloud, will be clear now. It is a kind of shortcut avoiding the huge cost of either paying for Google Apps, Outlook, Rackspace Mail or have own full setup. The Email Services provided by cPanel aided B Grade Hosting Services are not reliable – they can go to the SPAM folder. For such diagram like setup with SSL, cost will be around $600 per year at minimum – it is your full own setup with own SMTP name, POP name. It worths when spending for Google Apps or Rackspace Mail becomes a huge. For one Domain Named Email you can use Outlook for Free, else use Google Apps for Moderate use (there can be data supply to NSA) and Rackspace Mail for Better coverage. For Paid system, ensure whether the service will support multiple domain names or not. They usually tell about “number of the users”, admin@thecustomizewindows.com and webmaster@thecustomizewindows.com are two users! This Article Has Been Shared 4437 Times! Cite this article as: Abhishek Ghosh, "Domain Named Emails Explained," in The Customize Windows, April 2, 2014, April 23, 2019, https://thecustomizewindows.com/2014/04/domain-named-emails-explained/.